The lotus means different things in different cultures. To ancient Egyptians, the lotus flower represents the sun and rebirth while in Asia, it can represent purity and spiritual awakening. 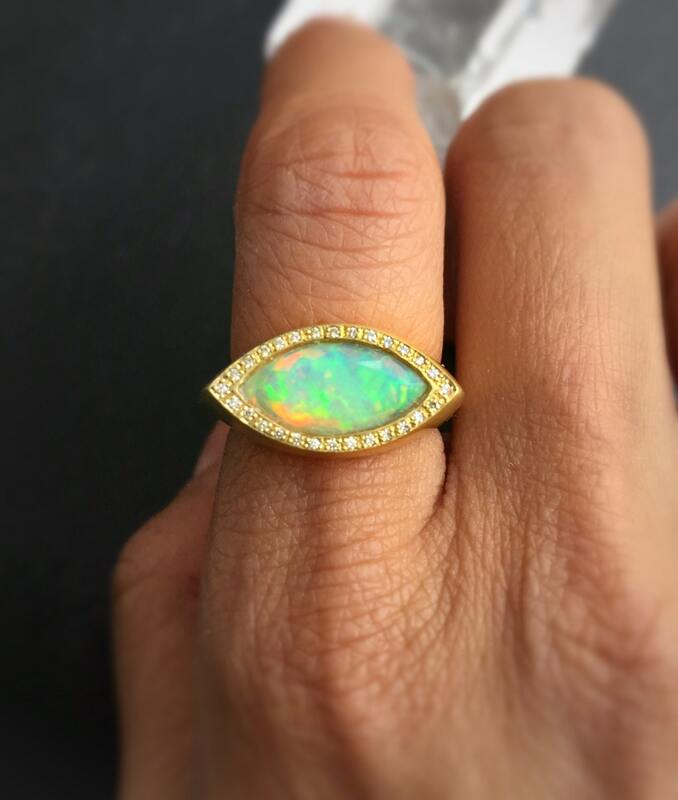 This one of a kind Lotus Ring is handmade in matte finish 18 karat gold and features a 1.75 carat marquis shaped welo opal highlighted by .10 points of light yellow diamonds. 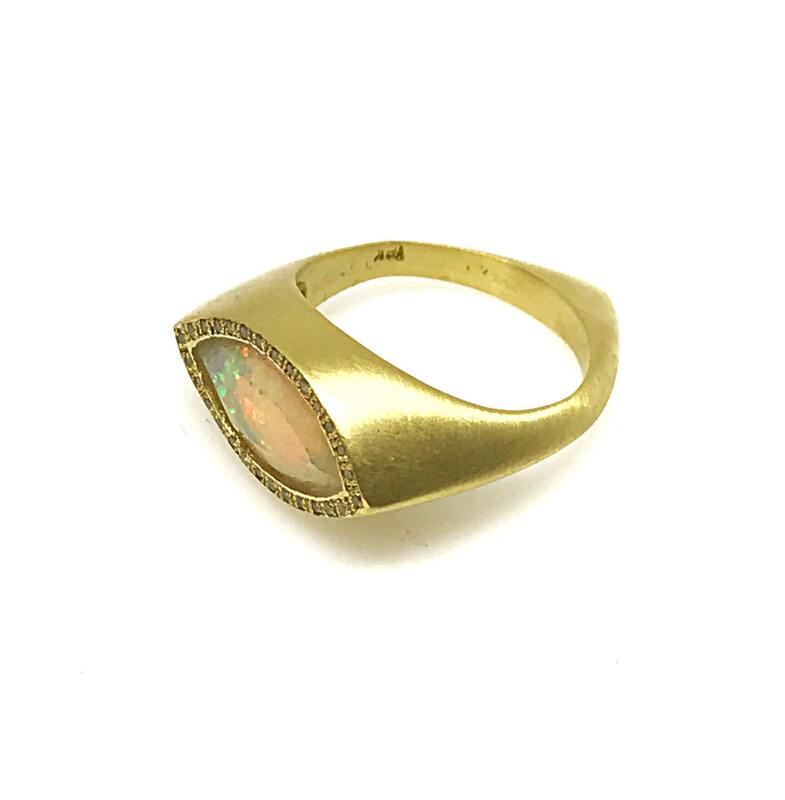 This ring substantial ring weighs 5.5 dwt or 8.6 grams of solid 18 karat gold and has a pointed bottom which acts as a counterbalance as well as a design feature. 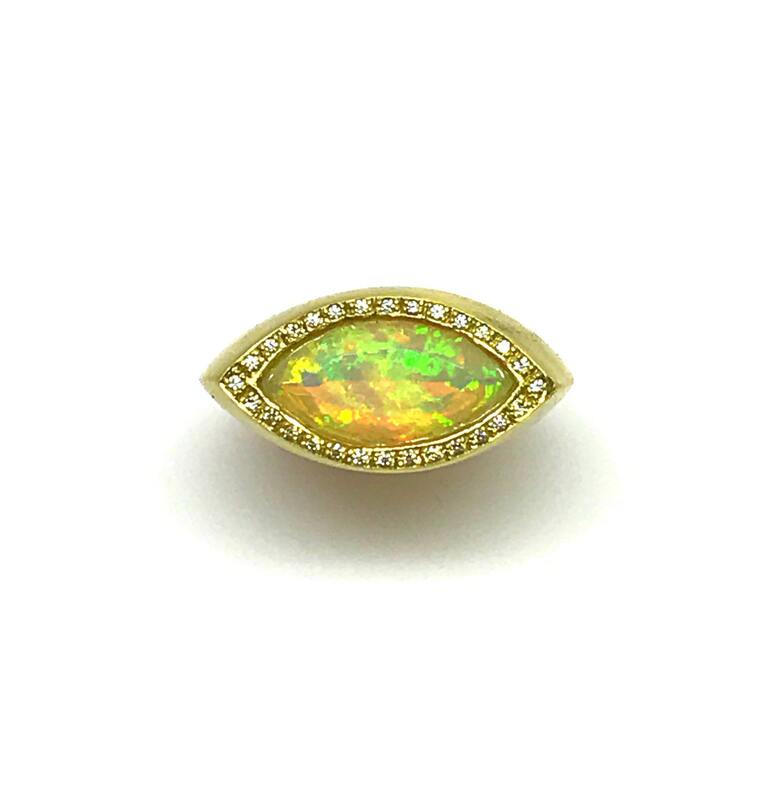 Top of ring measures 10.5mmx20mm. Only one available. Size 7. Handmade in NYC.